Like every other social media platform and search engine, Pinterest is constantly tweaking their algorithm and making changes that mean you have to adjust your strategy. Sometimes, what worked 6 months ago can lose steam when big changes happen. It can feel overwhelming trying to keep up with what your Pinterest strategy should be right now! The good news is that the changes Pinterest has made for 2018 are incredibly helpful for content creators. (Woohoo!) Read on for updated best practices that will save you time and energy. Oh, and a bonus: Pinterest best practices are now mirroring what works well on other social media platforms. So sharing your content all over the web just got a whole lot easier! If I could sum up the current changes on Pinterest in 3 words, it would be: quality over quantity. The old-school Pinterest strategy involved pinning dozens of pins a day and racking up as many followers as you could. Greater quantity equaled a better chance of getting noticed (and getting those clicks and repins!). But that’s no longer true, and you’ll see this principle in all of the changes I’m going to talk about! 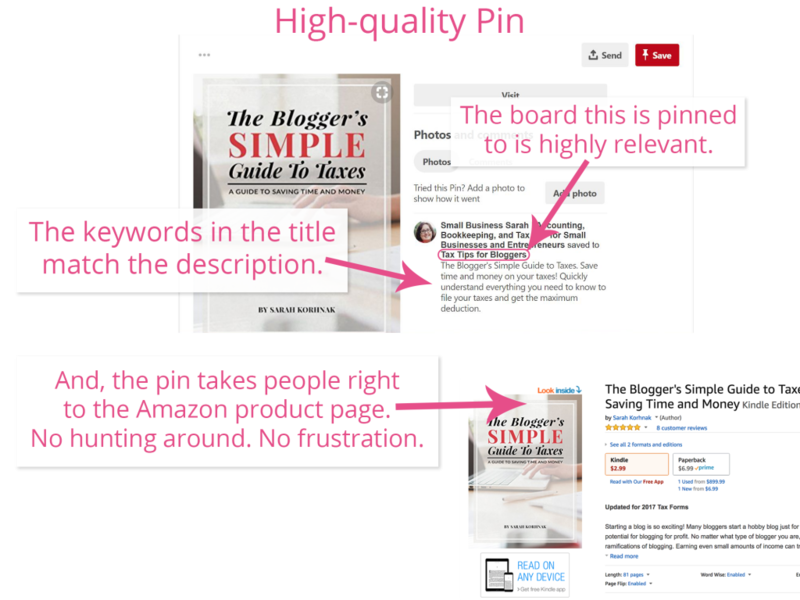 Pinterest is showing preference to what they consider to be quality pins. So, what is a quality pin? In other words, create great content, represent it accurately, and then send the right people to it. It’s simple, but there are so many pinners who get it wrong. Pins with lazy pin descriptions. Ohhh my goodness. How hard is it to write a few fabulous, keyword-rich sentences? I saw so many sentence fragments, complete copying of the title into the pin description — with NOTHING else added in, and straight up BLANK pin descriptions! Pins that were saved on super broad, vague boards. Listen, we all want to showcase the “Best of” our site, and that’s fine, but you need to take your best content and also pin it on super specific, topical boards to give Pinterest one more clue as to what your pin is all about. Pinterest is also more interested in the quality of your followers versus the total number you have. Remember that Pinterest is more of a Search Engine than a Social Media platform, so when someone searches for something on Pinterest, they want to find what they’re looking for. Your followers followed you in the first place because you delivered content they’re looking for — keep doing that! But Pinterest does have a social component as well! 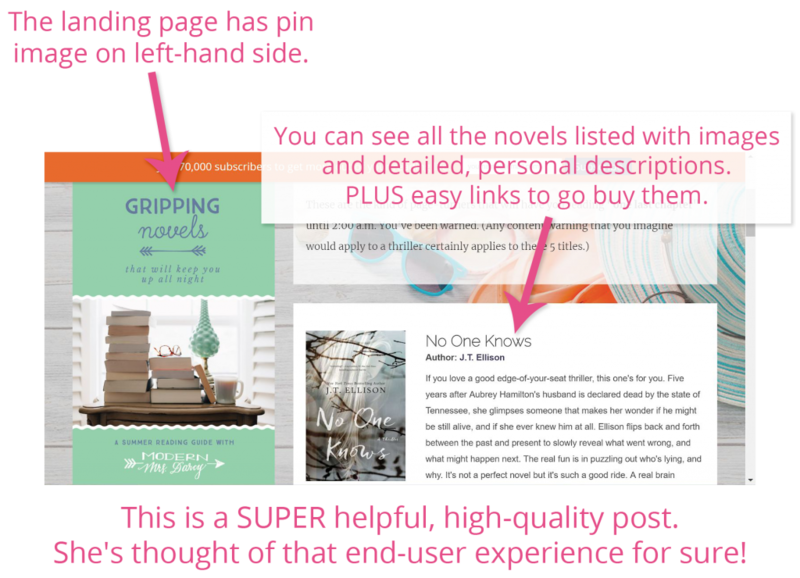 This happens when pinners repin, comment, or use the “Tried it!” feature. Don’t attract followers with gimmicks or false promises. Instead, your Pinterest strategy should be to cultivate a following of people who love what you pin and interact with your content regularly. 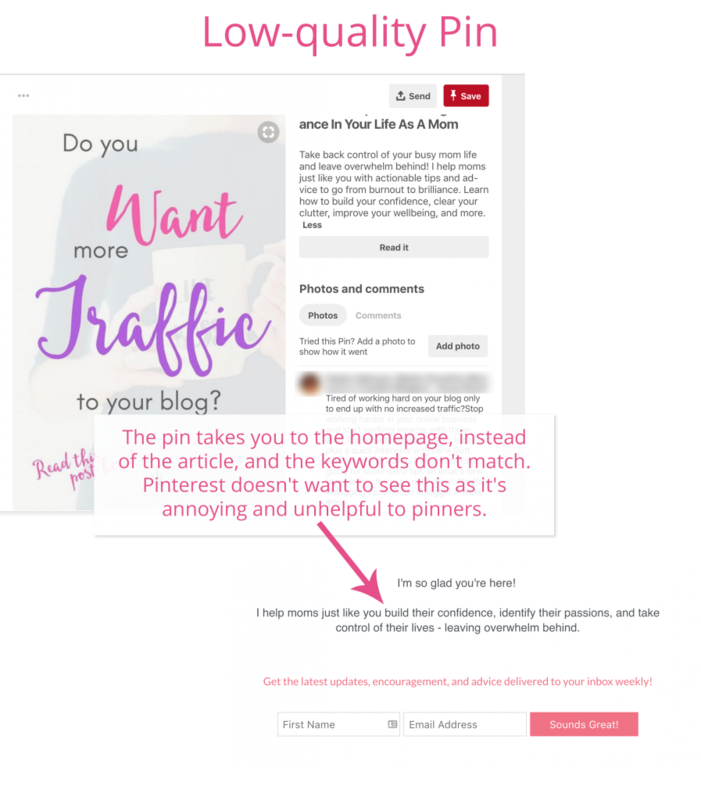 And sure, you can dig down deep on Pinterest SEO, but we don’t always have the time for that, and it’s really easy to get stuck in analysis paralysis mode. Here’s how I map out a 5-minute game plan for compelling, keyword-rich pins. I make note of what phrases Pinterest suggests to me. In this case, “social media marketing” and “social media calendar” are two that fit the bill. I write them down. Next, I peruse the results Pinterest has given me in my Smart Feed. Remember, they’re trying to show me what they think are the very BEST pins around social media. So I’m going to pay really close attention to their opinion on what constitutes a high-quality pin! On the first line, I see lots of pins around numbers, stats, and the best times to post. To be honest, I don’t really give a crap about these things. When I talk about social media, I’m sharing content creation tips, compelling post tips, and updates on what’s working. So… moving on. Even those these were the first things Pinterest suggested, they’re just not my jam. As I keep scrolling, I continue to see a lot of stats-types of posts, but I also see more calendar ideas, and “31 days of posts” concepts. Since social media calendar was a suggested term and teaching people how to create great content to share on social media is absolutely my jam, I think I’m going to go with something along these lines for my post. Now I’ll go back to the top, and type in social media calendar to see which keyword phrases Pinterest will suggest. Ok cool. This is enough for me to craft my post idea. Now it’s time to get to work and write my post, create my freebie, and craft a gorgeous pin! Quick note here: You absolutely MUST create your OWN content and put your OWN spin on any pins you create. Copying others work is a bad move. It’s a crappy thing to do. That content creator worked hard on their stuff. You should too. It won’t get you far. Google and Pinterest aren’t in the habit of highlighting duplicate content. They want fresh and new and insanely helpful! Your website visitors will see through it eventually when they realize you’re just a talking head and you don’t have any of your own, amazing ideas. Phew, ok I just had to put that out there! Okay, this can get a little tricky to understand, so I’m going to break it down for you! The Following Tab is a new feature that’s actually a throwback to the old days of Pinterest. Before the Smart Feed was introduced in 2014 (more on that in a minute!) Pinterest users only saw pins from other profiles they followed, and they saw those pins in chronological order. When someone clicks the Following Tab (the people symbol to the right of the search bar) they ONLY see content from Pinterest accounts they follow, BUT it’s not exactly in chronological order, this is why your “first 5” are important. Within the Following Tab, your followers will see the first five pins of the day from each person they follow.What does “first five of the day” mean? The day, for Pinterest, starts at midnight, UTC. That’s 5 PM Pacific and 8 PM Eastern in the USA, but you can use this time zone converter to figure out what time that is where you live. Think of that time as a reset – what you pin after midnight UTC will be your pins for that day. 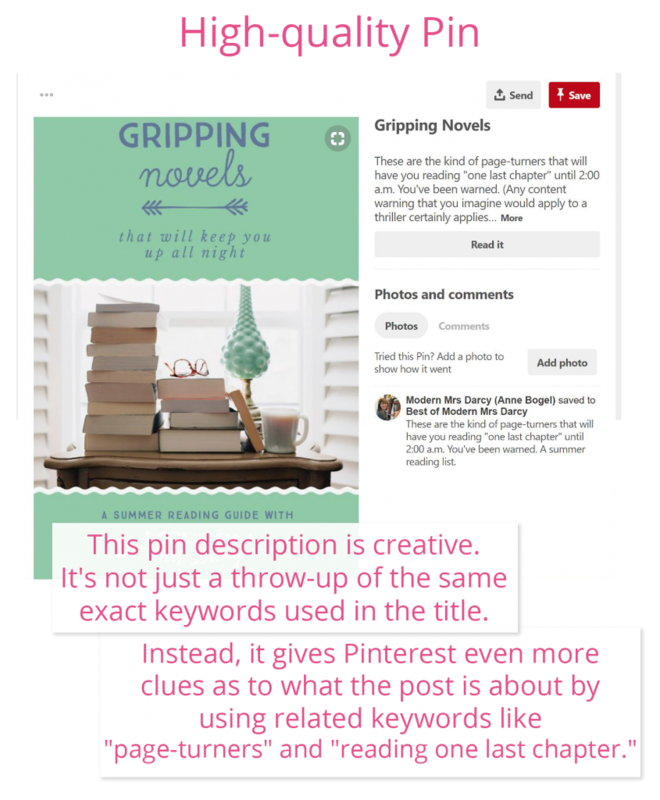 The first 5 pins you share (or repin – this can be new content or content you save from others) are what Pinterest will show your followers. 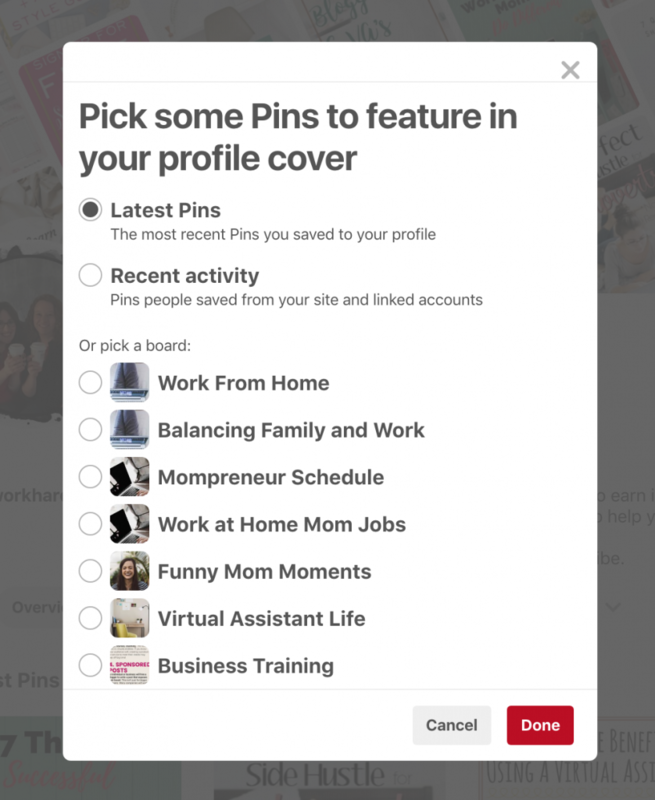 For example, if you pin 10 pins shortly after the new day starts, Pinterest will show the first 5 to your followers who are looking at their Following Tab, mixed in with the first five of the other people they’re following, according to the time each pin was pinned. The other 5 pins will show up eventually, but not until they’ve seen the first 5 others have pinned in that same time frame. Again, quality over quantity is what counts here. Pinterest is not interested in rewarding people who share hundreds of low-quality pins at a time (spam-much?) They’re interested in rewarding the very best content, and the very best, most intentional pinners who provide value to their followers. How do I make my first five count? Next, pin 5 different pins to relevant boards, not one pin to multiple boards. Last, check any pins you’re repinning. Click all the way through to the page they land on and make sure they are legitimate, useful pins. Don’t repin junk! The advice in this post should NOT be taken to mean that the Smart Feed is over and your First 5 are all that matter. No way, Jose! As of 2018, the Smart Feed still rules Pinterest. It’s the first thing people see when they log in. And most Pinterest users continue to use the Smart Feed to search for the topics that matter most to them. 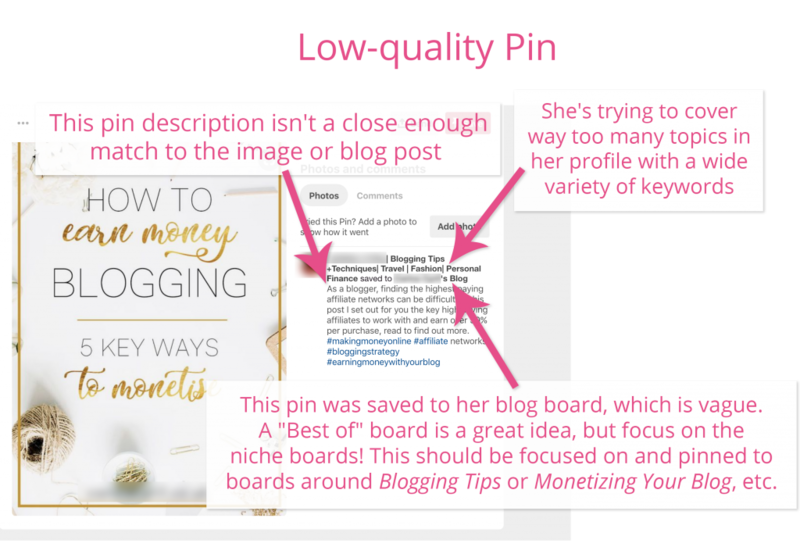 With the Smart Feed, high-quality, keyword-rich pins are what count, and Pinterest doles out those pins depending on the specific search terms, activity, and interests of that particular Pinterest user. HOWEVER… for Pinterest users who spend a bit more time on the platform, and prefer a bit more variety and surprise in their Pinterest content, they’re more likely to click over to that Following tab to discover something new. This is where your First 5 come into play. So again, high-quality, keyword-rich, relevant pins win the day ALWAYS, but your First 5 will play a role on that Following tab, and who knows how much Pinterest will continue to emphasize the Following area in the future, so it's not a bad idea to make it part of your current Pinterest stratgey! Have you seen it? Business accounts now have a diagonal pin collage across the top of their profile. Pinterest wants you to spend more time creating and curating quality content and less time on your profile. The collage defaults to your latest pins. To change what shows up, just click the gray pencil in the upper right-hand corner of the collage. Latest Pins: The default selection is the most recent Pins you’ve saved. If you’re going to leave it on this setting, you have to be careful to not pin the same pin multiple times, or it will show up over and over in your collage. Recent Activity: This is what others have saved from your site or accounts. I wouldn’t choose this one because it gives you the least control over what shows up on your profile. Pick a Board: Here’s where you can choose one of your boards to be what curates your profile collage. I suggest you choose a board that you consistently, carefully curate. Maybe that’s your shop board or another main board you post to often. Then, pay careful attention to not repeat a pin on that board, and your collage will be full of your gorgeous pins! *This feature hasn’t rolled out to everyone yet, so if you don’t have it now, just be patient! Whew! That's a lot to process, but you can see that growth and success on Pinterest now looks like engagement instead of big numbers. That’s a welcome change in Pinterest strategy because you can spend more time creating the best possible content. And that fabulous content will work well on other platforms too! Are you looking for engaging post ideas for all your social media platforms? 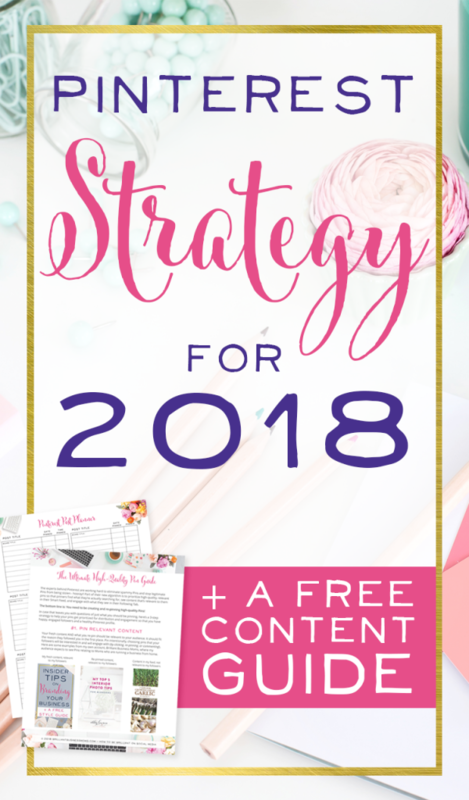 I’ve got free social media planning printables with post ideas for any kind of business! Get a Pinterest post planner, Instagram Planner, and Facebook planner. Plus, get the all-new Ultimate High-Quality Pins Guide! Grab your social media planning printables right here!